I guess Sen. Mary Landrieu (D-LA) has nothing to lose at this point. She is down 15 points according to some polling. In a conference call today, President Barack Obama endorsed Sen. Mary Landrieu (D-LA) in her bid to win her Senate seat, which she has held for more than a decade, against Rep. Bill Cassidy (R-LA). The endorsement will most likely serve as a burden for Landrieu, rather than an asset, as a majority of Louisiana voters do not approve of Obama’s agenda and the way he has handled Obamacare or the economy. 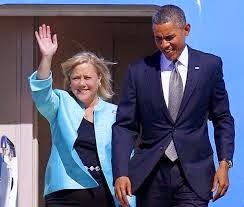 Landrieu has spent her entire re-election avoiding Obama and his policies, which she has largely supported.